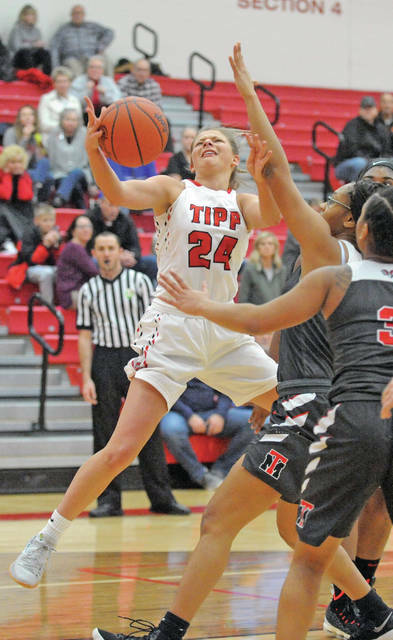 Josh Brown|Miami Valley Today Tippecanoe’s Kendall Clodfelter is fouled driving to the basket Thursday against Trotwood at Tippecanoe High School. Josh Brown|Miami Valley Today Tippecanoe’s Rachel Wildermuth puts up a shot between two Trotwood defenders Thursday. Josh Brown|Miami Valley Today Tippecanoe’s Ashleigh Mader drives around a Trotwood defender Thursday. Josh Brown|Miami Valley Today Tippecanoe’s Brooke Aselage battles a pair of Trotwood players for a loose ball Thursday. 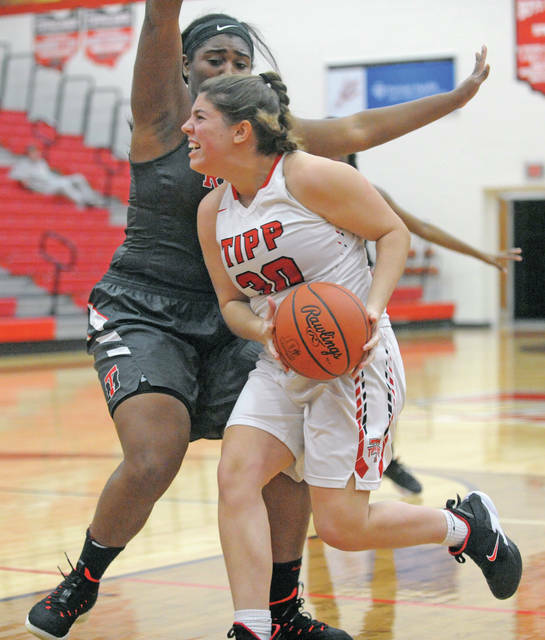 Josh Brown|Miami Valley Today Tippecanoe’s Katie Salyer drives around a Trotwood defender Thursday. Josh Brown|Miami Valley Today Tippecanoe’s Jillian Brown passes out of a Trotwood double-team Thursday. Josh Brown|Miami Valley Today Tippecanoe’s Makayla Stallard drives around a Trotwood defender Thursday. Josh Brown|Miami Valley Today Tippecanoe’s Brooke Aselage makes a move along the baseline Thursday against Trotwood. Josh Brown|Miami Valley Today Tippecanoe’s Rachel Wildermuth brings the ball up the floor after making a steal Thursday against Trotwood. TIPP CITY — One of Tippecanoe’s streaks may have come to an end Thursday night. But the Red Devils still have an opportunity to keep a few others ones going. 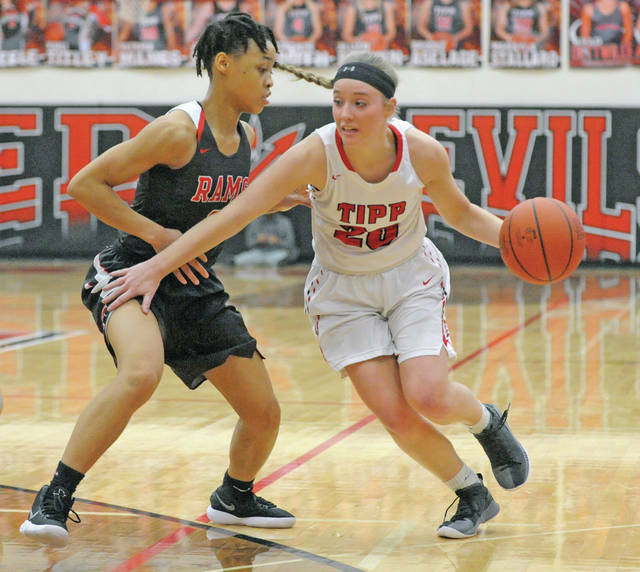 Trotwood snapped Tippecanoe’s Greater Western Ohio Conference American North Division winning streak at 39 games, holding on in the final seconds to claim a 37-35 victory over the Devils Thursday at Tippecanoe High School in GWOC American League crossover action. The win was the ninth straight for the GWOC American South Division-leading Rams, who improved to 12-2 and 10-0 in division play. The loss, however, was the first in GWOC American North play for the two-time defending champion Red Devils since joining the league as they fell to 9-1 in the North and 11-5 overall. The Devils still hold a two-game lead in the division with five left to play, though, giving them a solid chance to continue their division championship streak. And entering the game, the Devils knew that Trotwood — which they theoretically could meet again in the postseason — would be a tough matchup. “Trotwood is a quality team and very athletic,” Tippecanoe coach Andy Holderman said. “The athleticism that’s coming in from their end is something that we have a hard time simulating. That’s why playing these games, hopefully we can learn from the mistakes that we made. And even though junior Kendall Clodfelter — who had just drilled a clutch game-tying 3-pointer minutes before — missed a free throw that would have re-tied the game with 4.4 seconds remaining on the clock, Holderman was quick to point out that there was plenty of easy layups and other missed free throws throughout the game that could have changed the outcome and made those closing seconds not matter. Tippecanoe struggled offensively throughout the first half, with Clodfelter, a junior, scoring all five of the Devils’ points as they fell behind 11-5 after one, committing four early turnovers and missing a number of layups along the way. The Rams then built a lead as big as 10 points at 22-12 late in the second before a Rachel Wildermuth blocked shot led to a tough transition bucket at the buzzer, putting Tippecanoe behind 22-14 at the half. The Devils began to battle back early in the third, holding the Rams scoreless for roughly the first four minutes and completing a 10-0 run to tie the score at 22-22 on a free throw by Brooke Aselage. Quantaijah Huffman answered immediately with a 3 to give the lead back to the Rams, but eventually a 3 by Aselage and another fast-break layup by Clodfelter gave the Devils their first lead of the game at 27-26 before Essence Thornton scored in transition late in the quarter to give Trotwood a 28-27 lead heading into the final quarter. The Rams led by as many as four early in the fourth at 31-27, but a pull-up 3 by Clodfelter tied the score again at 32-32 with 3:03 remaining and Wildermuth followed with a pair of free throws to give Tippecanoe a 34-32 lead. Huffman answered with a drive to tie the score again with 2:04 left in the game, and a jumper by Huffman gave the Rams a 36-34 lead with 15 seconds on the clock. Clodfelter was fouled on a drive with 4.4 seconds left and got the chance to tie the score yet again, but after making the first free throw she missed the second, and Korryn Millerton grabbed the rebound with 2.4 seconds left and hit one of her free throws to make it a two-point game. Tippecanoe did get one final desperation shot from just past half court, but the shot was off the mark, hitting high off the glass. Clodfelter led the Devils with a game-high 19 points and eight rebounds, while sophomore Wildermuth had a solid game with nine points and seven rebounds. Leading scorer sophomore Ashleigh Mader was held scoreless in the first half and finished with only four points, Aselage added four points, Makayla Stallard scored two and Katie Salyer added one as the Devils won the battle of the boards 31-28 but committed 13 turnovers and went 8 for 13 from the free throw line. 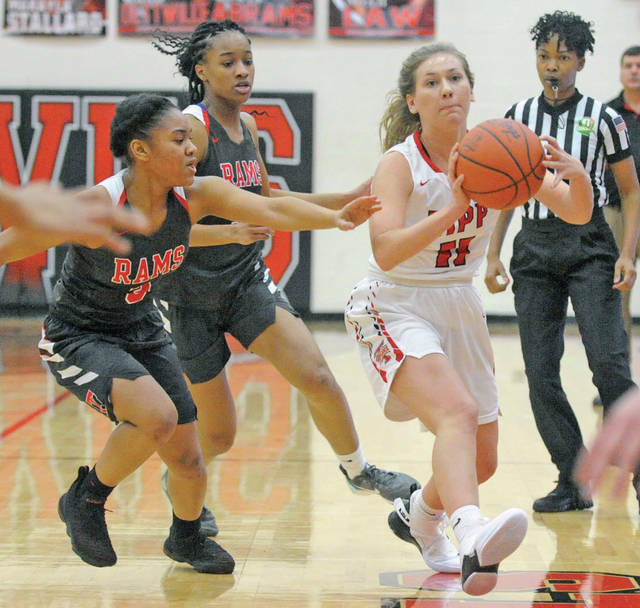 Huffman had 15 points — nine of them in the second half — to lead the Rams, Sha’Mya Leigh added seven points, Heaven Gooden scored five, Millerton had four points and seven rebounds, Goddess McIntyre had four points and six rebounds and Thornton had two points. Tippecanoe begins its second run through GWOC American North Division competition Saturday against Sidney. And beyond that, the Devils — who also have reached the regional tournament in the postseason four straight years, reaching the regional championship game three times during that stretch — could run into the Rams again. A week from Sunday is the Division II sectional tournament draw, with Tippecanoe, Trotwood and 15-1 Carroll all vying for the top seeds in the Springfield bracket. “We could (get a rematch), that’s for sure,” Holderman said. Josh Brown is the Sports Editor of the Troy Daily News. Contact him at jbrown@aimmediamidwest.com, or follow @TroyDailySports on Twitter. https://www.weeklyrecordherald.com/wp-content/uploads/sites/51/2019/01/web1_012419jb_tipp_kendallclodfelter.jpgJosh Brown|Miami Valley Today Tippecanoe’s Kendall Clodfelter is fouled driving to the basket Thursday against Trotwood at Tippecanoe High School.  https://www.weeklyrecordherald.com/wp-content/uploads/sites/51/2019/01/web1_012419jb_tipp_rachelwildermuth2.jpgJosh Brown|Miami Valley Today Tippecanoe’s Rachel Wildermuth puts up a shot between two Trotwood defenders Thursday. 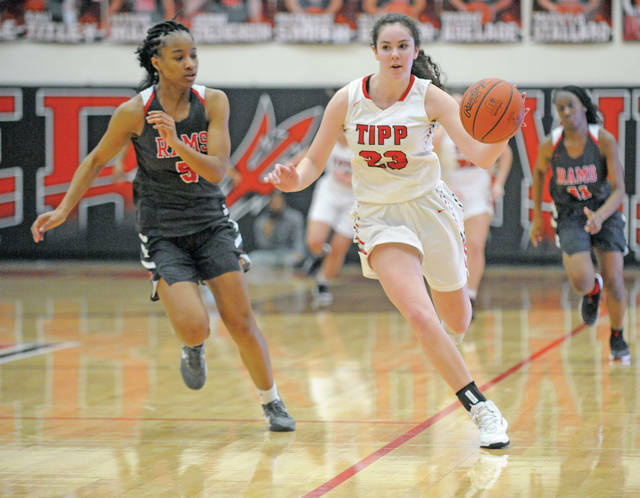 https://www.weeklyrecordherald.com/wp-content/uploads/sites/51/2019/01/web1_012419jb_tipp_ashleighmader.jpgJosh Brown|Miami Valley Today Tippecanoe’s Ashleigh Mader drives around a Trotwood defender Thursday. 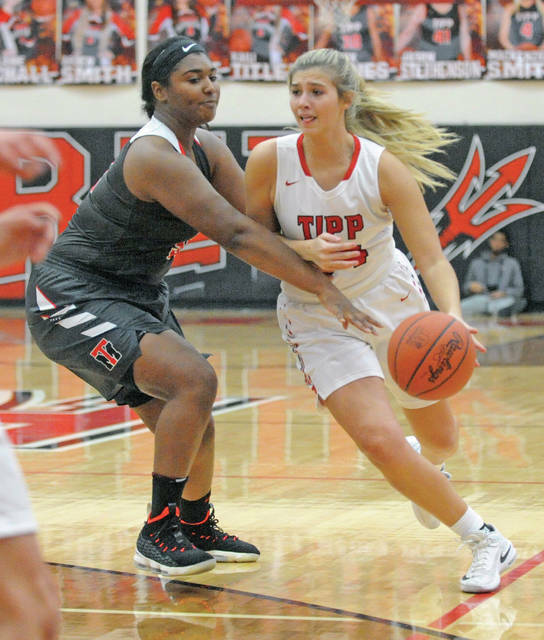 https://www.weeklyrecordherald.com/wp-content/uploads/sites/51/2019/01/web1_012419jb_tipp_brookeaselage.jpgJosh Brown|Miami Valley Today Tippecanoe’s Brooke Aselage battles a pair of Trotwood players for a loose ball Thursday. 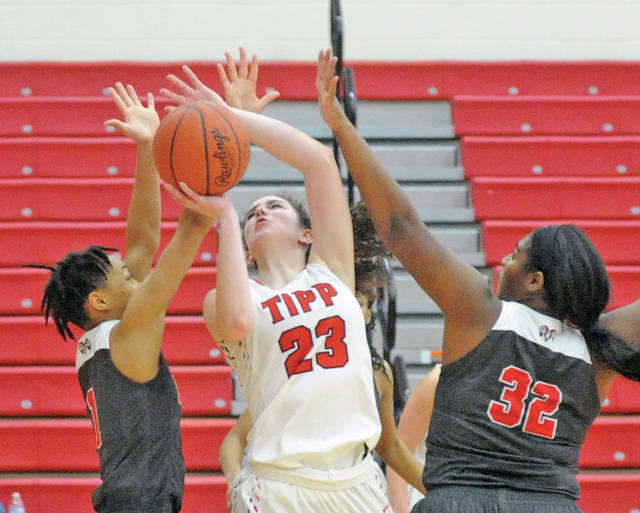 https://www.weeklyrecordherald.com/wp-content/uploads/sites/51/2019/01/web1_012419jb_tipp_katiesalyer.jpgJosh Brown|Miami Valley Today Tippecanoe’s Katie Salyer drives around a Trotwood defender Thursday. 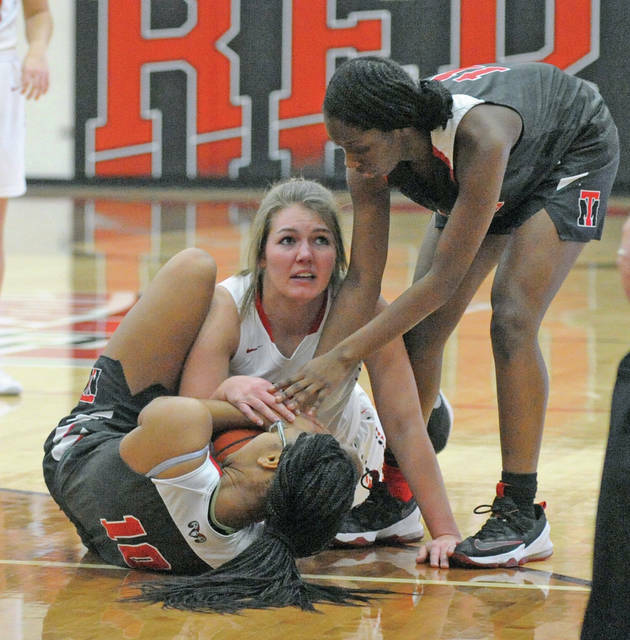 https://www.weeklyrecordherald.com/wp-content/uploads/sites/51/2019/01/web1_012419jb_tipp_jillianbrown.jpgJosh Brown|Miami Valley Today Tippecanoe’s Jillian Brown passes out of a Trotwood double-team Thursday. 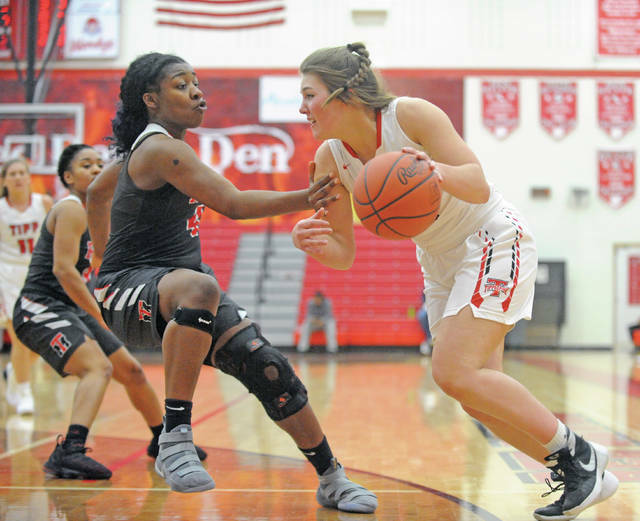 https://www.weeklyrecordherald.com/wp-content/uploads/sites/51/2019/01/web1_012419jb_tipp_makaylastallard.jpgJosh Brown|Miami Valley Today Tippecanoe’s Makayla Stallard drives around a Trotwood defender Thursday. https://www.weeklyrecordherald.com/wp-content/uploads/sites/51/2019/01/web1_012419jb_tipp_brookeaselage_alt.jpgJosh Brown|Miami Valley Today Tippecanoe’s Brooke Aselage makes a move along the baseline Thursday against Trotwood. https://www.weeklyrecordherald.com/wp-content/uploads/sites/51/2019/01/web1_012419jb_tipp_rachelwildermuth.jpgJosh Brown|Miami Valley Today Tippecanoe’s Rachel Wildermuth brings the ball up the floor after making a steal Thursday against Trotwood.